Pete Mundle, a member of the Masters Hall of Fame, was a world-class masters distance runner back in the day. Since at least the early 1970s, when he worked with Track & Field News as master of stats, Peter “Pete” Mundle was an expert on records. He kept single-age bests for all events, starting with sub-kiddies. Eventually, he confined his attention to masters. His hobby led to annual publication of Masters Age Records. They were unofficial but engrossing. Now his last 23 records booklets are online here — at mastershistory.org. L.A. resident Pete, now 90, gave permission for posting of the archive. National Masters News, which published the books until the last one in 2006, also gave its OK. They are historically interesting but not perfectly accurate. I pointed this out in a 2006 post that noted scores of omissions. I also rapped Pete for keeping in the book 6-mile-run records — since he held many. Yet his 6-mile records had long been bettered by folks running the longer 10,000-meter run. But it’s his book. So whatever. 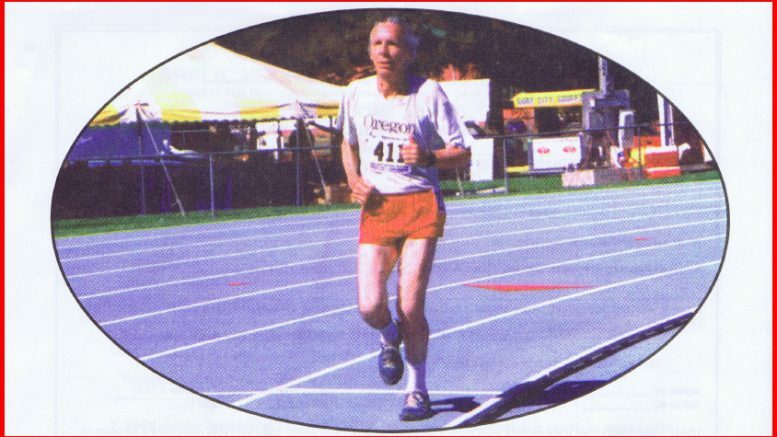 Pete is profiled in “Masters Track and Field: A History” by Leonard Olson. I edited the 2001 book (and truthfully wrote much of it, adding my own research). Pete skipped work on the book one year — 2004 — and quit it for good after 2006. Nobody has attempted keeping single-age masters records ever since (though websites track single-age records for the kiddies). 19-and-unders are here. Distance races are here. Pete’s archive represents a great addition to our online museum. Maybe someone will carry on his work someday. 7 Comments on "Nearly 2 dozen years of Pete Mundle’s single-age masters records online at mastershistory.org"
Nice. One of those booklets was the first time I’ve read about veterans. More than twenty years later I became one. And became hooked. We are appreciative to all the work Pete Mundle put into these books. And thankful that he and NMN has allowed them to be scanned and placed on the website. This is very useful and hard to locate historical statistical information. The late Bill Benson was a great fan of the single age masters records. Will check the website to take a look – probably a whole bunch of records that never passed muster with the “official ” record keeper! Note-1: Additional prior-years will be scanned and uploaded in the future. Note-2: Looking for a copy of the 1979 edition as well. The 1979 edition has been located. Now looking for the 1971 edition of “Age Records” which appears to be the initial year being published.